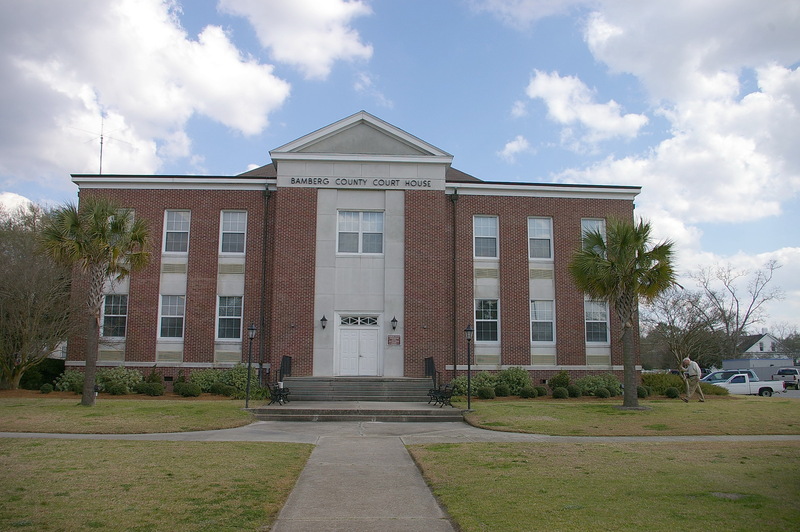 Bamberg County is named for William Seaborn Bamberg, who was a co-founder of a town called Lowery’s Turnout, or for General Francis M. Bamberg. 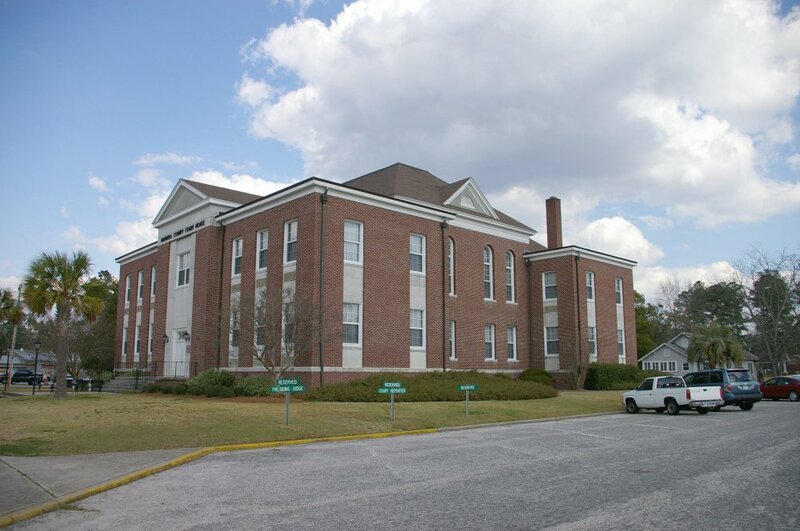 Description: The building faces west and is a two story red colored brick structure. 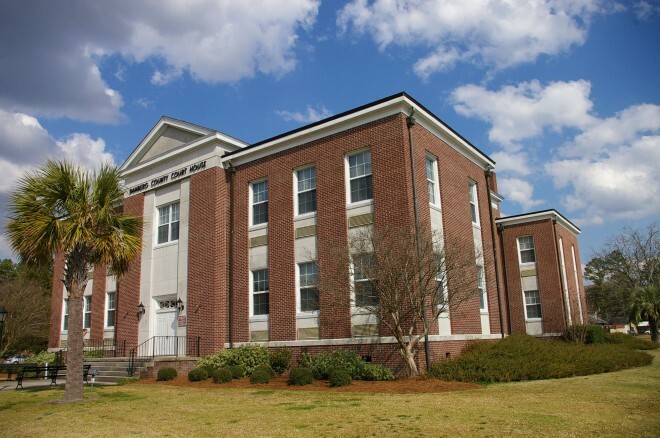 The building has a projecting center section with the entrance and white colored vertical bands rising to the pediment at the roof line. There are white colored panels between the first and second story windows. The building is in the form an “H”. The original building was located south of the railway and moved in 1952 to the present site. Additions were added to the front and rear of the original building. The building was renovated in 1950.